Europe is known for its beautiful architecture and rich history. And one of the best examples of both comes in the form of churches. Europe is full of gorgeous churches of every shape and style imaginable. This is the premise behind our blog mini-series “Famous Churches of Europe.” Each blog in this series will highlight the most famous – and stunningly beautiful – churches of a certain city. While Basilica of St. Denis is not located within the city of Paris, this magnificent church is a must see! Located roughly a half hour out of the city center, you will set your eyes on intricate stain glass windows along with the final resting place of almost all French monarchs from the 10th century to 1789. Basilique Saint-Denis is considered to be the very first Gothic style church. Basilique Saint-Denis was named for Saint Denis, a patron saint of France. He was sent to Gaul (now Paris) to convert people to Christianity. He was so successful in converting people that he and his companions were imprisoned and ultimately beheaded on the highest hill in Paris. 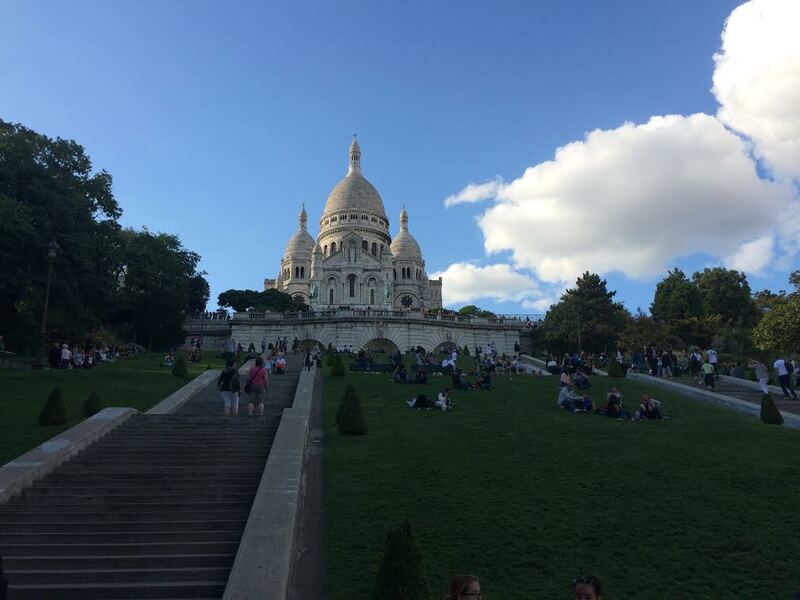 This hill is now home to Sacré Cœur. Saint Denis was the first Bishop of Paris, appointed by Pope Fabian in the 3rd century. 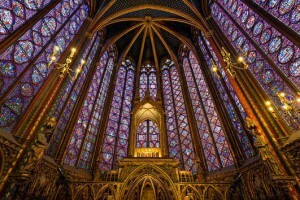 If you think the stained glass windows of Saint-Denis were enchanting, wait until you see the awe-inspiring windows of Sainte-Chapelle or the Holy Chapel. Located in the heart of Paris on the Île de la Cité, Sainte-Chappelle is an example of Rayonnant or French Gothic architecture. This beautiful church has endured flooding, fires, and the French Revolution. Sainte-Chapelle was created by Louis IX to house his collection relics in the courtyard of the royal palace, now part of La Conciergerie. Louis IX was later inducted into Sainthood by Pope Boniface VIII. He is the only French monarch that has been declared a saint. Louis IX was not buried at his beloved Sainte-Chapelle, instead he is interred at Basilique Saint-Denis. Sacré-Cœur, also known as Basilica of the Sacred Heart of Paris, is located on the highest point in the city of Paris – Montmartre. While it isn’t as old as the other churches highlighted, that doesn’t mean it is any less important. In fact, Sacré-Cœur may be more recognizable to most people than the other churches due to its travertine exterior and domes. 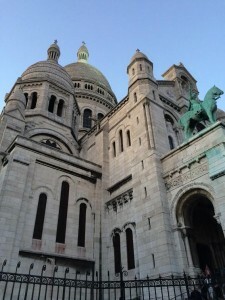 Sacré-Cœur was designed by Paul Abadie in the Romano-Byzantine style. It was started in 1875 and completed in 1914. Montmartre, the area where Sacré-Cœur is located, is known as the ‘mountain of the martyr’ as this is where Saint Denis was beheaded. The area is very famous for the artists that have resided there throughout the years. The likes of Monet, Van Gogh, Matisse, Dalí, and Picasso all lived in Montmartre at one point. Do you want to walk the same streets of Picasso, Monet, and many others? Just contact AESU, the most trusted name in travel. Plan your trip to Paris. Call AESU! For over 38 years, AESU has been the most trusted name in travel. We offer unique, exciting travel programs for college students and young professionals at affordable rates, including several trips to France – Cosmopolitan, Explorer, Euro Focus, Great Escape, and Euro Spree. Each trip is action-packed and informal – designed for people your own age. We are also able to design custom tours just for your group. If you have any questions or want help booking a fun-filled and, perhaps most importantly, affordable trip to Munich, Germany, please contact AESU by calling 800-638-7640 or fill out the contact form found on our website. This entry was posted on Thursday, September 3rd, 2015	at 2:44 pm	. You can follow any responses to this entry through the RSS 2.0	feed. Both comments and pings are currently closed.